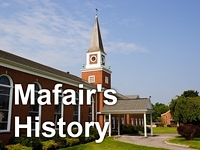 Mafair UMC: Walking with Jesus: Here's the Man! Here's Your King! Walking with Jesus: Here's the Man! Here's Your King! "Walking with Jesus: Here's the Man! Here's Your King!" is the message given by Rev. Amy Probst at Mafair United Methodist Church on March 18, 2018.